*edit 02/07/2018* Much loved Dentist Dr Hosam Ehdeyhed will not be returning from medical leave this year as expected. On the eve of his return a routine scan has detected a further relapse and as such Dr Hosam will be taking an indefinite leave of absence to seek treatment. Hosam understands each patient’s individual circumstances, requirements, working with you to ensure your best outcome is achieved. He’s known for his charisma, caring nature and above all, first-rate work. Hosam graduated as Valedictorian from the University of Western Australia (Honours). There, he earned the Sally Joysten-Bechal Study Group Prize. 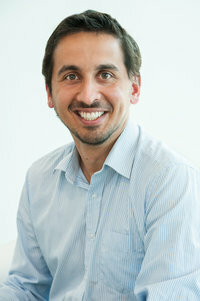 He joined the Ranford Road Dental Centre team in 2008 after being in private practice in Darwin. He’s developed interests in cosmetic dentistry, endodontics (root canal treatment), family and preventative dentistry.